Meticulous. The issue with the property would be deciding where to spend those relaxing moments… the Outdoor Entertainment area, listening to the gentle waters of the fountain and the cooing doves in the nearby Aviary?… Or, on the screened back porch overlooking a beautiful back yard while listening to the sound of raindrops falling on the metal roof?… Or cozied up by the wood burning fireplace with a good book? First decision to make is to come see this gem! 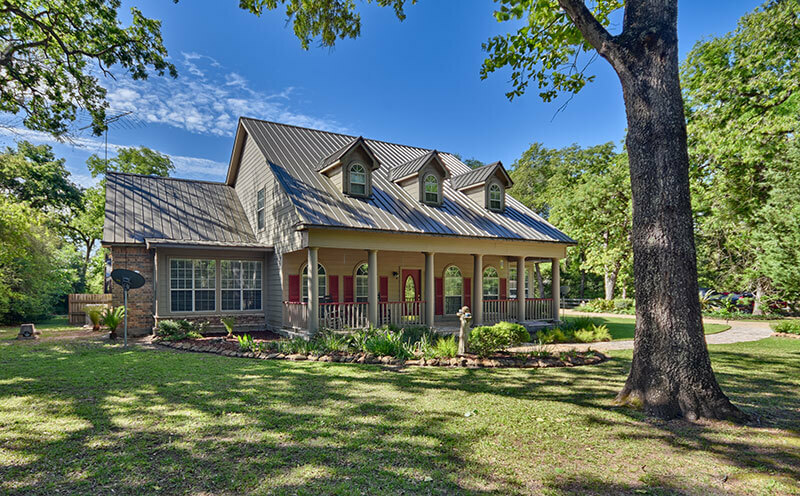 This 4/3.5/2 home is located in the lightly restricted Piney Creek Subdivision, has a gated entrance to access the secluded home on 2.91 acres which is about 75% wooded. Home offers: *Kitchen with island and breakfast nook *Formal Dining *Library/Den *Wood burning fireplace in living room *Master bedroom is downstairs with en-suite and half bath is located downstairs *Outdoor kitchen has a large fireplace, gas grill, built in cooler, Island, and electricity.